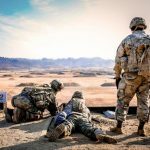 MARCH 19, 2019 – As part of the release of the proposed fiscal year 2020 budget, more than $57 billion in a five-year defense plan will be dedicated to modernization and other signature Army programs, the Army’s undersecretary said Thursday. 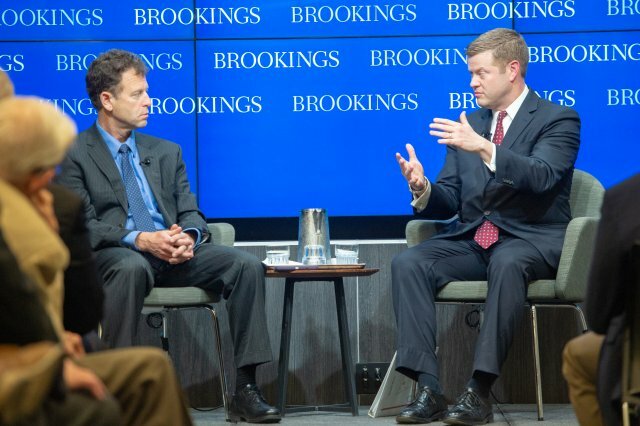 In turn, the Army is offering “a tremendous opportunity” to industry officials that are willing to step up their research and development investments to innovate the force’s six modernization priorities, Ryan D. McCarthy said during a discussion at The Brookings Institution. The modernization priorities are being driven by an era of “great power competition” as stated in the National Defense Strategy. The Army’s near-peer competitors are creating effective forms of standoff through new tactics and technologies, McCarthy said. Starting with the top modernization priority — Long Range Precision Fires — the Army plans to allocate nearly $5.7 billion of its five-year defense plan, or FYDP, and $1.3 billion in fiscal 2020 toward the program. A portion of that funding will help field hypersonic systems to stay ahead of advancements made by competitors, McCarthy said. Funding plans include “a precision strike missile that doubles the firepower and increases the range of existing missile artillery systems,” he said, in addition to extended range cannon artillery with the capability to fire accurately over 40 miles. Parts of the NGCV investment will support “a robotic and optionally manned combat vehicle that includes artificial intelligence,” he added. In Future Vertical Lift, the Army looks to replace the force’s aging helicopter fleet with aerial platforms that have “greater speed, maneuverability, and lethality,” he said. “Specifically, an attack [and] recon aircraft and a long-range aircraft, with a generational leap in capability including optionally manned,” he added. 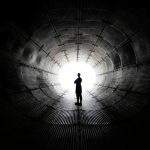 Under the Network priority, the Army looks to “leverage commercial technologies and space-based systems” to develop a new command, control, and communications network, he said, adding it must be capable, resilient, agile, and present a reduced electromagnetic signature. 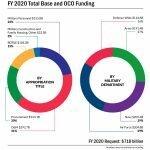 Over the FYDP, the force plans to invest more than $12.5 billion on the Army’s network, which includes $2.3 billion in fiscal 2020. “This funding supports an integrated visual augmentation system that employs artificial intelligence and digital-fused images to give infantrymen superior battlefield awareness, to include real-time performance data to improve decision making,” McCarthy said. Further, Soldier Lethality funding will support “a next generation squad weapon and rifle that will leap beyond the current World War II-era physics still used in most of our small arms,” he added. With the proposed budget, the Army was forced to make many hard choices, the undersecretary said. 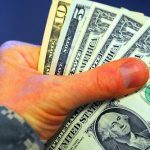 During the Army’s “night court” process, the force scrubbed and aligned billions of dollars to focus on the modernization priorities, in addition to supporting 30 signature programs. By 2028, this shift will give the Army a fleet mix of 55,000 Humvees, 49,000 JLTVs and 800 Infantry Squad Vehicles — over 100,000 troop transport vehicles in all, he added.